MVP is the most common congenital heart defect in women of child-bearing age. 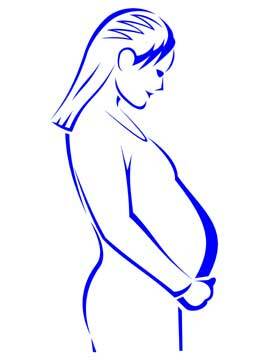 Pregnancy is usually tolerated well, though arrhythmias sometimes occur, requiring medications. Complications during pregnancy are rare, though careful monitoring is recommended as mitral regurgitation could progress. The prospective mother with MVP should be aware that the anomaly is hereditary.